Not long ago, on the outskirts of Dryburgh in the Scottish Borders, I went hunting for a three-metre statue of William Wallace. After following a path through some woods, increasingly uncertain that I was in the right spot, I found the monument at the edge of a forest, gazing out over trees, fields and rolling hills. Why, I wondered, would anyone erect such an impressive statue out here, where few people would ever see it? Why not build it in nearby Selkirk, where tourists flock to visit the courtroom in which Sir Walter Scott presided? The logic of the locale eluded me. I was still under the influence of Braveheart, the Hollywood blockbuster in which Mel Gibson plays Wallace as a one-dimensional warrior-hero. 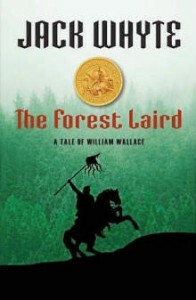 With The Forest Laird, novelist Jack Whyte paints a far more complex portrait – one in which William Wallace shines forth not just as an Achilles of the late 1200s, but as a reluctant outlaw, a Latin-speaking kingmaker and a sword-wielding patriot. Ultimately, he emerges as a family man who would like nothing better than to stay home and serve as a guardian of the forest. Hence, the mighty statue in the woods. Whyte is the Scottish-born Kelowna, B.C., resident who has sold more than one million copies of his novels, notably eight of them set in Roman Britain (A Dream of Eagles series). 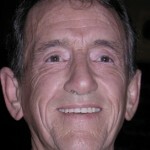 He is a past master of the historical tradition that Scott established in the early 1800s with his Waverley novels. But where, for the contemporary reader, Scott’s first-person narrators stumble along, awkward and intrusive – “Now I must protest to thee, gentle reader” – Whyte streams his lively tale through a minor character who, having been present at every key juncture, looks back with wondering eyes at the life of William Wallace. Whyte opens the novel brilliantly, with a scene in which Father James visits William Wallace in his prison cell, awaiting execution in August, 1305. His death will be horrible, if only because he has proven singularly successful in leading the Scots against a ruthless English monarch. Whyte goes far enough in describing what will happen in the near future that he does not need to end the book by detailing the martyrdom of Wallace, which would have been grim and depressing. The novelist also succeeds in weaving history into the story as it crackles along. Our narrator explains that he is “forced, if some future reader is to understand my tale . . . to identify the people and events that were to shape my unfortunate cousin’s destiny.” Such skillful crafting enables Whyte to paint a convincing portrait of a society emerging from feudalism, and to make sense of the shifting alliances of noblemen, peasantry, clergymen and the rising new class of burgesses, or merchants and managers. Only toward the end of the novel, when Whyte turns to the development of the nation state, does the reader notice the machinery of the book, and see the hand of the author turning the wheel of the story. Only then, to change the metaphor, do we realize that Whyte still has a great many balls in the air, and that he cannot possibly finish this juggling act in the few pages that remain. Not to worry. The Forest Laird is the first book in a trilogy called The Guardians. The next two novels will treat Robert the Bruce, King of Scots, and Sir James Douglas, also known as The Black Douglas. This reviewer will eagerly await both. I must read this! In fact, looks like I’ve missed several books. Sorry, Jack, I’ve get to the bookstore promptly. I’m an old fan. I remember waiting for the year to pass by and finally there would be another book in the Camulod Chronicles to devour. Best Wishes, Jack, and all your other fans.